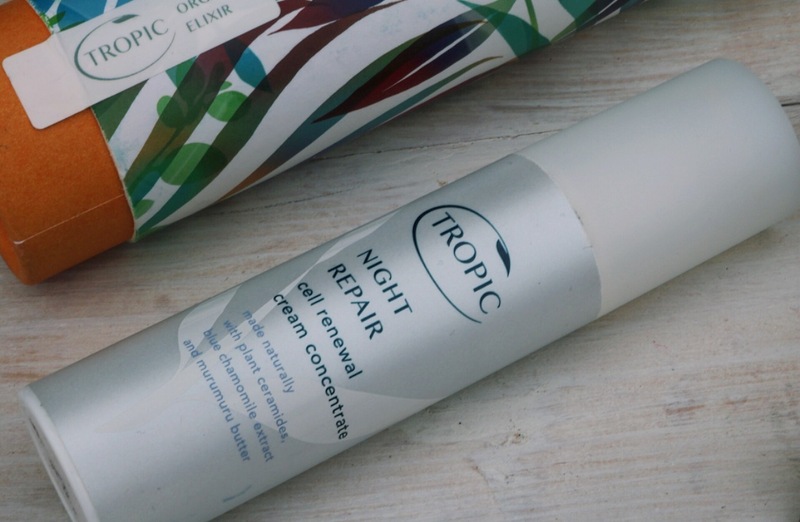 On a recent trip to my grandparents, I noticed my nan had the Tropics night repair cream: one of the few skincare products by the brand that I was yet to try. As the trip was pretty impromptu I had forgotten quite a few of my toiletries so it was the perfect time to try it out. I used the repair cream in place of my skin revive cream which I use after my toner. The cream itself is of velvety consistency making it easy to apply but also incredibly silky and gently on the skin. When creams are too thick I find myself trying to spread and smear it across my face in all different directions, which can often stretch and take its toll on the skin. With this product there is none of that, it simply glides on without a fuss. Having been so impressed by the hydrating nature of the cream, I decided to kick it up a notch and mix with a little of the organic elixir. This is something suggested on the packaging and after using it I can see why. The combination is so luxurious and nourishing, it is honestly the dreamiest of combos. With the repair cream full of hydrating ingredients, such as Aloe Vera Juice, Murumuru Butter, and Shea Butter, as well as the blissfully calming mixture of Lavender, Ylang-Ylang and Blue Chamomile essential oils make this product the ultimate repair cream for your night time routine. 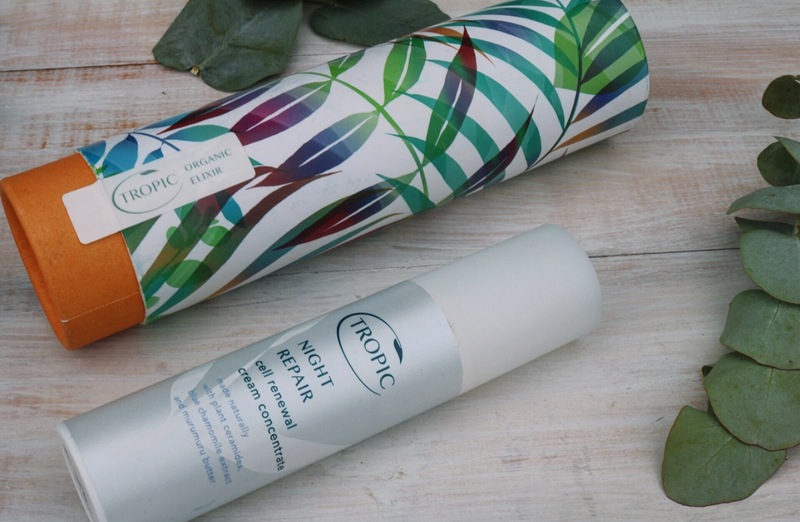 If you would like to know more about the brand Tropic, simply click here. If you would like to take a browse at other Tropic products previously featured on here, please click here. Have you ever tried the Night Repair cream? What did you think?